Coming Soon: Jurassic Pixar! – BOBBY JAMES. This morning I had a great idea! To take my new Tyrannosaurus Rex figure (from the Jurassic World toy line, available now for about $15) on a journey into Pixar’s world! Here’s a sneak peek – the first image for a new blog to be released before Jurassic World arrives in theaters! 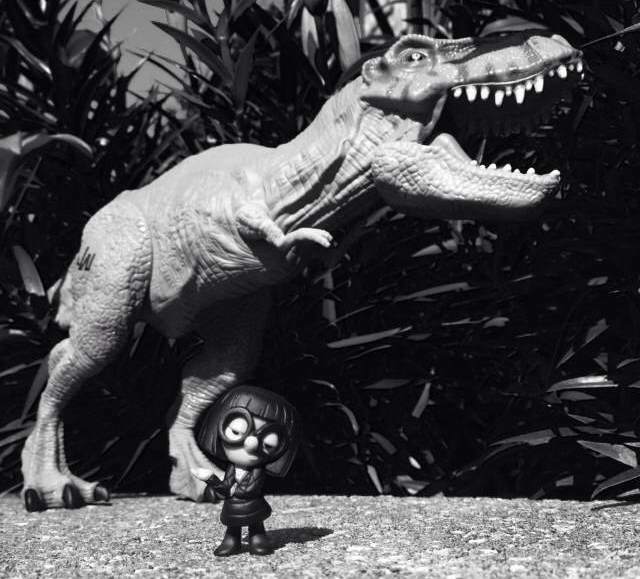 T-Rex meets Edna Mode. (c) 2015. Bobby James.